It’s that time of year again. The countdown to the world’s most famous horse race has begun. At 5.15 pm on Saturday April 9, the eyes of the sporting world will be on Aintree racecourse. So much so, that a global television audience of 500 – 600 million people in more than 140 countries are expected to tune in. What is it that makes the Grand National so special? Well, the race has a history like no other. And it remains arguably the ultimate test of horse and jockey. 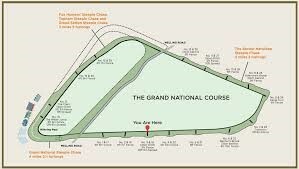 The Grand National dates all the way back to 1836, when a horse named The Duke won the very first race at William Lynn’s grand new racecourse near Liverpool. The Grand National has been run continuously ever since then. And in that time, it has created many legends. There are of course the famous winners – None more so than crowd favourite and 3-time winner during the 1970s, Red Rum. 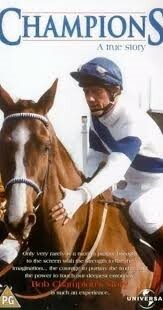 However, perhaps the most fondly remembered winner was Aldaniti in 1981. Jockey Bob Champion had been given just months to live, suffering from cancer. But he bravely rode Aldaniti to victory in front of a delighted crowd. But the Grand National has also created legends out of adversity. The most unlikely winner was perhaps 100/1 outsider Foinavon in 1967. Following a mass pile-up at the 23rd fence, Foinavon strode through the carnage of favourites to record the most unlikely of victories. Meanwhile, in 1956 Devon Loch was famously written into the history books. Having cleared the final fence five lengths in the lead, Devon Loch inexplicably collapsed, snatching defeat from the jaws of victory. There really is no race like the Grand National. The Grand National is quite simply an immense challenge. It is run over two circuits of the gruelling Aintree track, totalling 4 miles and 770 yards. Such is the difficulty of the course that a significant number of starters are expected not to finish the race. To come first past the winning post is considered to be an achievement of extreme skill and endurance. So much so, that some of the 30 fences and assorted obstacles on the course are famous in their own right. Beecher’s Brook is an imposing 5 foot fence with an extra 6 inch drop on the other side just for good measure. Meanwhile, The Chair is Aintree’s tallest obstacle, standing at 5 foot 2 inches and a raised drop on the landing side. It is usually the photographer’s favoured spot on the course, as horses leap high across the fence. And then there is the Canal Turn, which requires a sharp 90 degree turn. It is not uncommon for this to slow down the leaders, or even for loose horses to miss the turn altogether. It is no wonder that the Grand National is such a lucrative race, with prize money exceeding £1 million. And many more millions are bet on the race across the world. You can pick your Grand National winner at William Hill. Among the favourites this year are Vieux Lion Rouge, an exciting 8-year-old being ridden by Tom Scudamore. Meanwhile, Noel Fehily is on Blaklion, who came second in this year’s Grand National trial. Whichever horse you pick, good luck and enjoy the day!